Professional-quality printsSamsung printers make it easy for users to have the print performance they need at a great price. Get up to 8,000 color or 6,000 black pages at an extremely low cost-per page. Print thousands of pages with high-capacity ink tank system. Restore ink levels with resealable bottles and our spill-free refill system. Easily re fill your ink tank system with spill-free, resealable bottles. 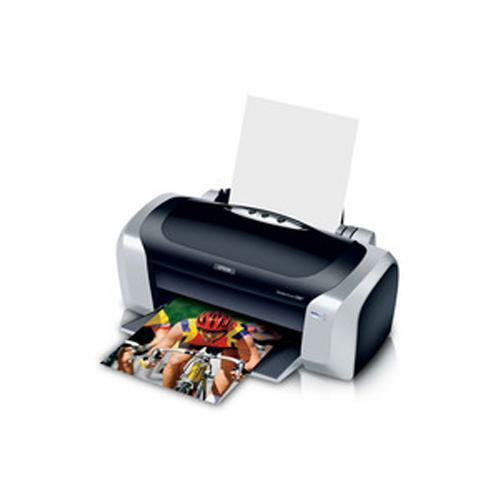 Print darker, crisper text and get borderless, fade-resistant photos and documents that last up to 22 times longer. Count on darker, crisper text, time after time. 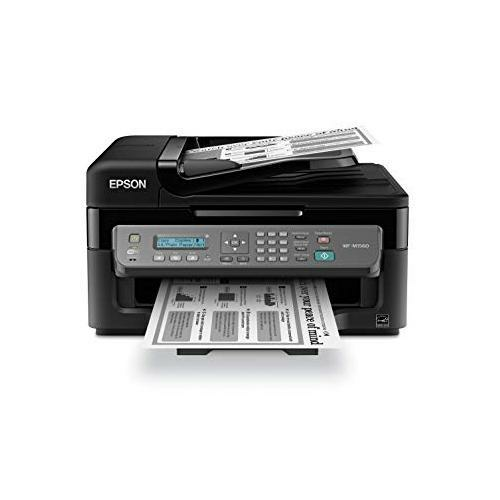 Functions: Print, copy, scan, wireless, Color, A4: Up to 5 ppm, Black & White, A4: Up to 8 ppm. Orderable Supplies: HP 30 Cyan Original Ink Bottle, HP 30 Magenta Original Ink Bottle, HP 30 Yellow Original Ink Bottle, HP 30 Black Original Ink Bottle. Easily print from tablets and smartphones1 with the WorkForce WF-2630, offering fast print speeds for the home office. 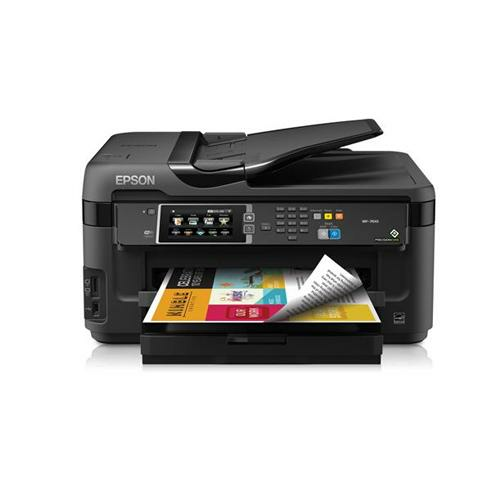 Boasting the smallest footprint of any printer in its class2, this wireless3 all in one touts affordable individual ink cartridges and essential print, copy, scan and fax features. Getting organized is a breeze with a useful 30-page Auto Document Feeder for scanning, copying or faxing stacks of documents you can even scan to the cloud4. 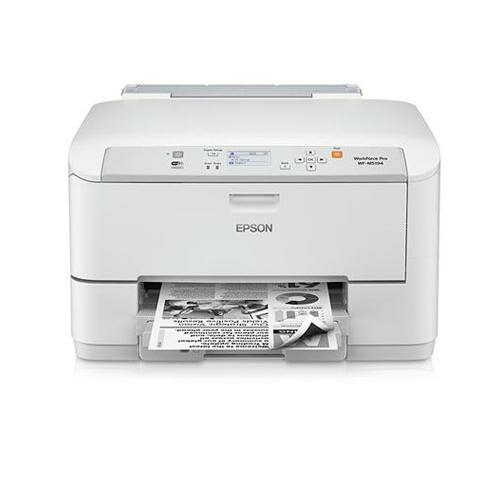 Plus, this reliable performer produces laser-quality text and smudge, fade and water resistant prints. From boarding passes to brochures, the WF-2630 will be ready when you need it. Fast and reliable, the WorkForce WF-2750 all-in-one printer offers easy wireless printing for your home office. Powered by revolutionary PrecisionCore® printing technology, the WF-2750 delivers Laser-Quality Performance. You can print sharp, professional-quality documents – even from your iPad®, iPhone®, Android™ tablet or smartphone1. Productivity-boosting features include auto 2-sided printing and a 30-page Auto Document Feeder, plus a 150-sheet capacity, so you'll reload paper less often. Affordable individual ink cartridges allow you to replace only the color you need. Plus, the printer's 2.2" mono graphic display makes navigation simple. The fast, versatile wireless all-in-one printer for your home office. Versatile, fast and reliable, the WorkForce WF-2760 all-in-one printer features the ultimate in wireless connectivity plus Ethernet for your home office. Powered by revolutionary PrecisionCore technology, the WF-2760 delivers Laser-Quality Performance. Print sharp, professional-quality documents even from your iPad, iPhone, Android tablet or smartphone1. It also includes NFC2 touch-to-print capability. A 2.7" color touchscreen makes setup and navigation easy. Other features include auto 2-sided printing and a 30-page Auto Document Feeder, plus a 150-sheet capacity, so you'll reload less often. Also, affordable individual ink cartridges mean you replace only the color you need. It's the smart choice for fast, easy printing. 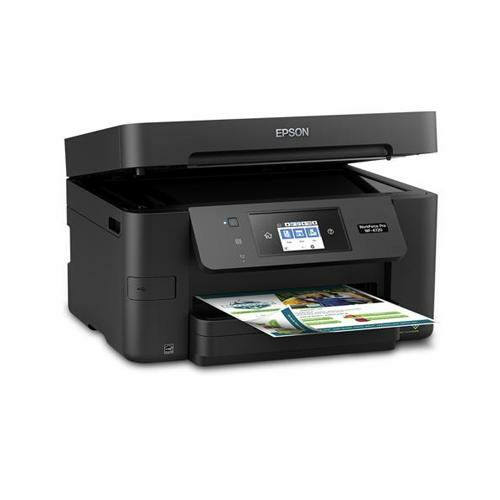 The full featured wireless all in one printer for your home office. 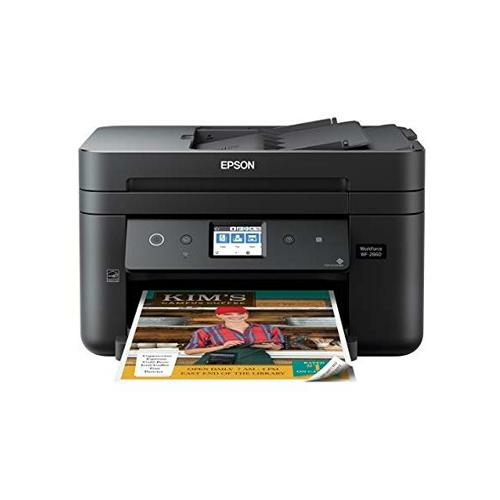 The compact, fast all in one printer for home or small offices. Boost productivity for your home or small office with the WorkForce Pro WF-3720 all in one printer. Powered by revolutionary PrecisionCore technology, the WF-3720 delivers Performance Beyond Laser and print shop-quality prints with laser-sharp text. 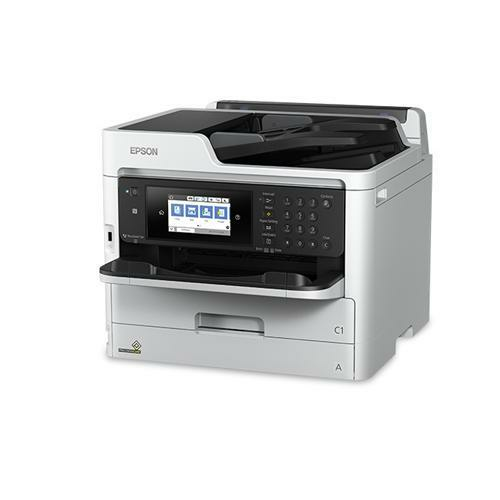 Fast and efficient, the WF-3720 quickly produces professional-quality documents. And, it’s economical, offering up to 30 percent lower printing costs vs. color laser1. Its 250 sheet paper capacity means you’ll reload paper less often. Plus, it includes convenient features like a 2.7" color touchscreen, 35-page Auto Document Feeder and auto 2-sided printing. 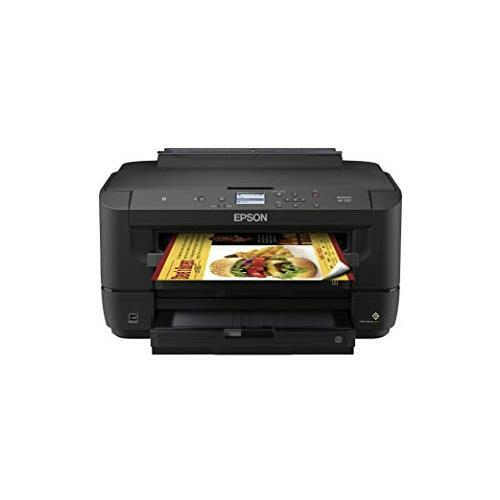 A true breakthrough printer, the WF-3720 combines powerful performance with a space-saving design. Compact, cost saving network printer built for productivity. Powered by PrecisionCore printing technology, the WorkForce Pro WF-C5210 features the next generation of inkjet printing technology. This compact workhorse also includes an innovative Replaceable Ink Pack System to minimize your interventions. And, you save on printing – up to 45 percent lower total printing costs vs. color laser1, without compromising productivity. 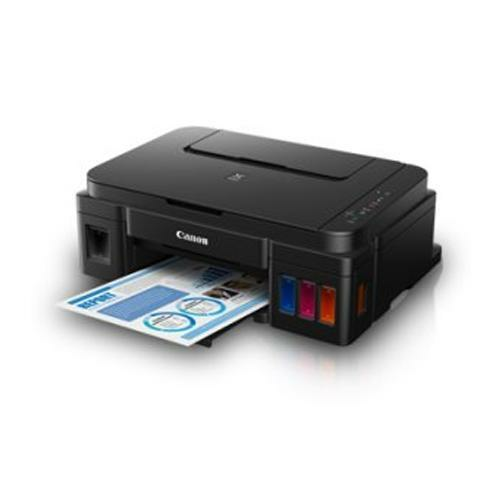 The WF-C5210 offers speeds of 24 ISO ppm (black/color)†, plus a fast first page out with no warmup time. Perfect for busy workgroups, it provides advanced security features. Compatible with MPS software solutions like PrintFleet and ECi (FMAudit), the WF-C5210 also supports remote printer data collection. 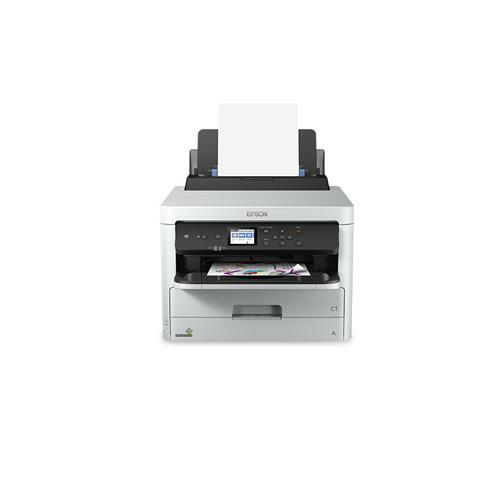 The high-speed, ultra efficient color MFP for small work teams. Get high-speed printing and enhanced productivity for your small work team with the WorkForce Pro EC-4020 color multifunction printer. 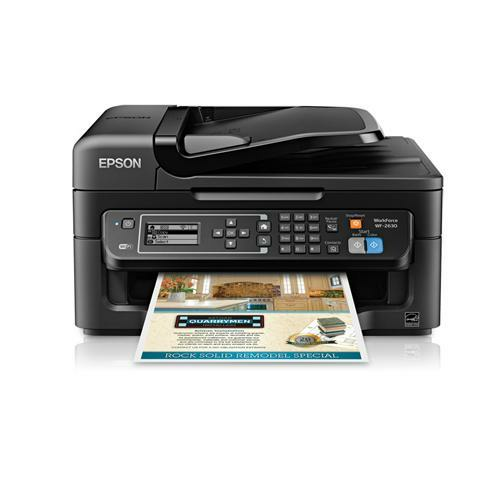 Powered by revolutionary PrecisionCore technology, the EC-4020 delivers print-shop-quality prints with laser-sharp text. Featuring fast speeds, it quickly delivers professional-quality documents. And, it’s easy on the budget, offering up to 50 percent lower printing costs vs. color laser1. 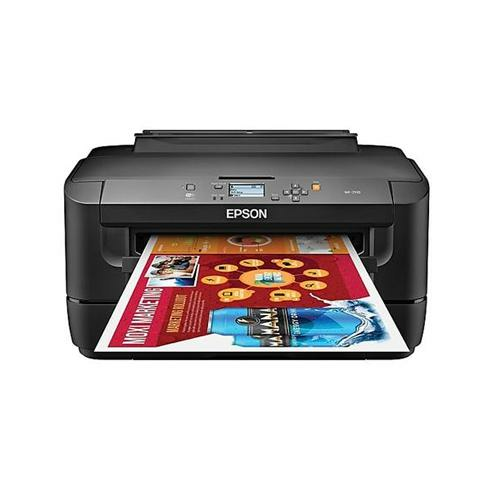 Its 250-sheet paper capacity means you’ll replace paper less often. Plus, it features a 35-page Auto Document Feeder and auto 2-sided printing. Combining powerful performance with a compact design, it offers outstanding efficiency. Get high-speed printing and enhanced productivity for your small work team with the WorkForce Pro WF-4720 all-in-one printer. Powered by revolutionary PrecisionCore technology, the WF-4720 delivers Performance Beyond Laser and print-shop-quality prints with laser-sharp text. 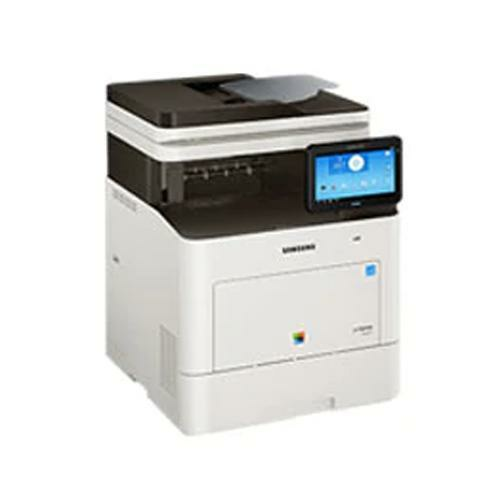 Featuring the fastest color print speed in its class1, the WF-4720 blazes through professional-quality documents. And, it’s economical, offering up to 50 percent lower printing costs vs. color laser2. Its 250-sheet paper capacity means you’ll reload paper less often. Plus, it features a 35-page Auto Document Feeder and auto 2-sided printing. Combining powerful performance with a compact design, it offers outstanding efficiency. The high-speed, high-volume color MFP for busy workgroups. Get high-performance printing for your busy workgroup with the WorkForce Pro EC-4030 color multifunction printer. Powered by revolutionary PrecisionCore® technology, the EC-4030 Business Edition delivers print-shop-quality prints with laser-sharp text. Featuring fast speeds and a 500-sheet paper capacity, it’s perfect for high-volume printing – with two trays, you’ll replace paper less often. And, it’s easy on the budget, offering up to 50 percent lower printing costs vs. color laser1. Plus, its 35-page Auto Document Feeder and auto 2-sided printing enhance your productivity. Combining powerful performance with a space-saving design, it offers extraordinary efficiency. Get high-performance printing for your busy workgroup with the WorkForce Pro WF-4730 all-in-one printer. Powered by revolutionary PrecisionCore® technology, the WF-4730 delivers Performance Beyond Laser™ and print-shop-quality prints with laser-sharp text. Featuring the fastest color print speed in its class1 and a 500-sheet paper capacity, it’s perfect for high-volume printing – with two trays for hassle-free versatility. And, it’s economical, offering up to 50 percent lower printing costs vs. color laser2. Plus, its 35-page Auto Document Feeder and auto 2-sided printing save time and paper. Combining powerful performance with a space-saving design, it offers extraordinary efficiency. Small offices make a big impression with the WorkForce WF-7110, a wide-format printer that offers high-volume printing and flexible paper handling. Powered by Epson's new PrecisionCore printing technology, the WF-7110 delivers Performance Beyond Laser™. It produces fast, print-shop-quality borderless prints up to 13" x 19" and laser-sharp black and color text. Plus, save on ink; get up to 40 percent lower printing cost vs. color laser1. This wireless printer easily prints from tablets and smartphones2. Three paper trays let you load up to 500 sheets in the front, and use the rear tray for envelopes and specialty paper. Also includes auto 2-sided printing. Versatile wide-format printer for brilliant borderless results. Powered by PrecisionCore, the WorkForce WF-7210 delivers print-shop-quality color graphics and borderless prints up to 13" x 19". Offering speed and versatility, this wide-format inkjet features 500-sheet capacity, dual trays, plus a rear feed for envelopes and specialty paper. This high-performance printer also includes auto 2-sided printing up to 11" x 17" and a 2.2" LCD for easy setup and navigation. 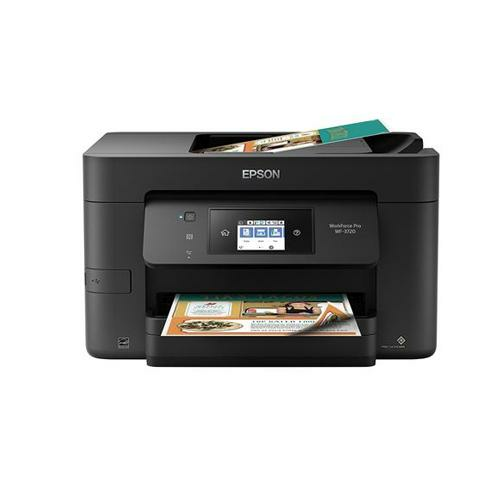 Offering the ultimate in wireless printing and networking, the WF-7210 makes it easy to print from tablets and smartphones1, and includes Wi-Fi Direct2, Ethernet and NFC3. The lowest-cost monochrome printing in its class. Replace your monochrome laser printer with the WorkForce WF-M1560 monochrome all-in-one and get the lowest black printing cost in its class — up to 60 percent lower than monochrome laser printers2. You get monochrome printing for less; and, reliability is better than with replacement cartridges commonly purchased for competitive laser printers. 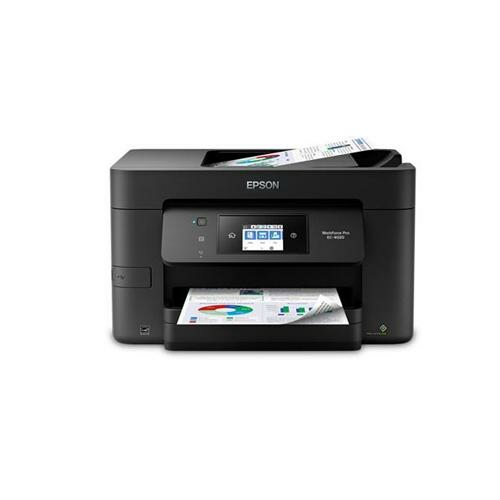 This fast, high-performance all-in-one uses less power than laser printers3, and offers economical, High-capacity ink cartridges, producing up to 2400 pages4. For easy setup and sharing on your network, the WF-M1560 comes with built-in Ethernet and wireless connectivity5. This lightweight, compact inkjet saves time with fast speeds up to 34 ppm (draft)1, plus a convenient 30-page Automatic Document Feeder for unattended copying, and scanning in full color. Engineered to produce sharp, laser quality black text, it's ideal for reports, brochures and everyday printing with print size versatility up to 8.5" x 44". The WF-M1560 also produces smudge, fade and water resistant prints every time. Powered by PrecisionCore printing technology, the WorkForce Pro WF-C5290 features the next generation of inkjet printing technology. This compact workhorse also includes an innovative Replaceable Ink Pack System to minimize your interventions. And, you save on printing – up to 45 percent lower total printing costs vs. color laser2, without compromising productivity. The WF-C5290 offers speeds of 24 ISO ppm (black/color)†, plus a fast first page out with no warmup time. Perfect for busy workgroups, the WF-C5290 also includes PCL1 and PostScript 3 support, as well as seamless integration with enterprise applications. And, it includes advanced security features. 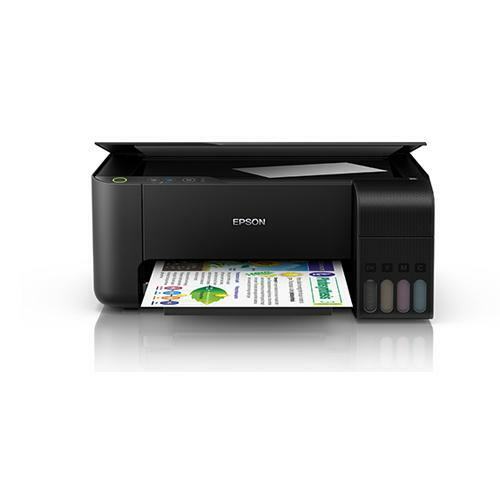 Compact, cost saving multifunction printer that drives productivity. Powered by PrecisionCore printing technology, the WorkForce Pro WF-C5710 features the next generation of inkjet printing technology. This compact workhorse also includes an innovative Replaceable Ink Pack System to minimize your interventions. And, you save on printing up to 45 percent lower total printing costs vs. color laser1, without compromising productivity. The WF-C5710 offers print speeds of 24 ISO ppm (black/color)†, a fast first page out with no warmup time, plus fast scan speeds. With a 50-page Auto Document Feeder and auto 2-sided printing, copying, scanning and faxing, the WF-C5710 is ideal for busy workgroups. It even includes advanced security features. Bring wide-format printing and increased productivity to your small office with the WorkForce WF-7610. Powered by Epson's new PrecisionCore printing technology, the WF-7610 delivers Performance Beyond Laser™. Get fast, print-shop-quality borderless prints up to 13" x 19" and laser-sharp black and color text. Plus, save on ink; get up to 40 percent lower printing cost vs. color laser1. This wireless printer easily prints from tablets and smartphones2. Additional features include wide-format scanning up to 11" x 17" and auto 2-sided print/copy/scan/fax with a 35-page, 2-sided Automatic Document Feeder. A 4.3" color touchscreen and 250-sheet paper capacity plus rear tray offer enhanced productivity. Wide format all in one for large scans and brilliant borderless prints. Powered by PrecisionCore, the WorkForce WF-7710 wide-format all-in-one printer quickly produces print shop quality borderless prints up to 13" x 19" and scans up to 11" x 17". A versatile inkjet, it features a 250-sheet tray, plus a rear feed for specialty paper, ensuring added productivity for any office. It also includes auto 2-sided print, copy, scan and fax, plus a 35-page Auto Document Feeder. Use the 4.3" color touchscreen for easy navigation and control. Featuring the ultimate in wired and wireless networking, the WF-7710 makes it easy to print from tablets and smartphones1, and includes Wi-Fi Direct®2, Ethernet and NFC3.